The works of Titus Kaphar ’06 M.F.A. and Gonzales-Day on view in “Unseen” draw attention to the overlooked experiences and contributions of black Americans during the nation’s founding. They critique the absence of the black experience in portraits of celebrated historical figures such Thomas Jefferson and Andrew Jackson. Archer said the exhibition could change visitors’ perceptions of other works on display at the National Portrait Gallery and the conjoining National Museum of American Art. Archer, who studies painting and printmaking, designed a program to encourage museum patrons to consider other works in the museum in a new context. Visitors would take photos of works on view in “Unseen” and then photograph other works and think about conversations that arise out of comparing the works. She consulted with the exhibition’s organizers — Taína Caragol, curator of painting and sculpture and Latino art and history, and Asma Naeem, curator of prints, drawings, and media arts — about the programming they developed around “Unseen.” Archer will help to create programming around “Reckoning with ‘The Incident’: John Wilson’s Studies for a Lynching Mural,” an exhibition scheduled to open at YUAG in January 2020. The exhibition’s centerpiece, “The Incident,” is a mural by Wilson depicting a black man being lynched by the Ku Klux Klan as an African American family watches — the father grasping a rifle as he angrily glares at the murderers. 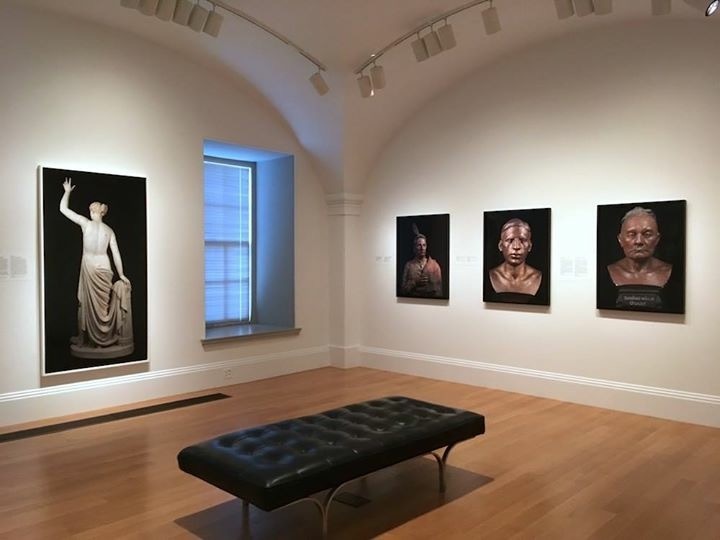 “What I’m trying to do while in D.C. is think about how ‘Unseen’ is dealing with contentious issues in American history, particularly Ken Gonzales-Day’s works dealing explicitly with lynching, and think about we might approach similar issues raised by John Wilson’s work,” she said.